After a run of good (for the time of year) flying days during the first half of the month things changed. Last Saturday no flying due to low cloud and only 8 flights on Sunday into the teeth of a nasty easterly. This Wednesday we didn’t fair much better. The winch was in position and gliders out of the hangar by the time I arrived but they stayed there for a while due to the low cloud base. 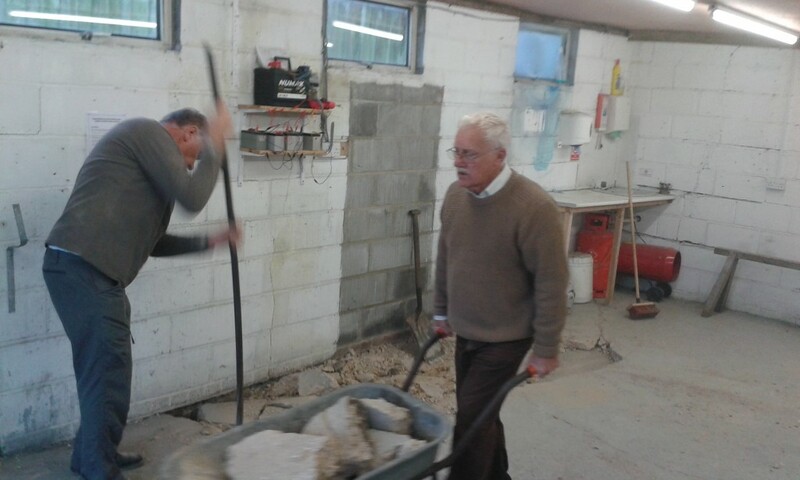 Fortunately not too low to hold back Ken H and Rowland P continuing the re-roofing of the toilet block. 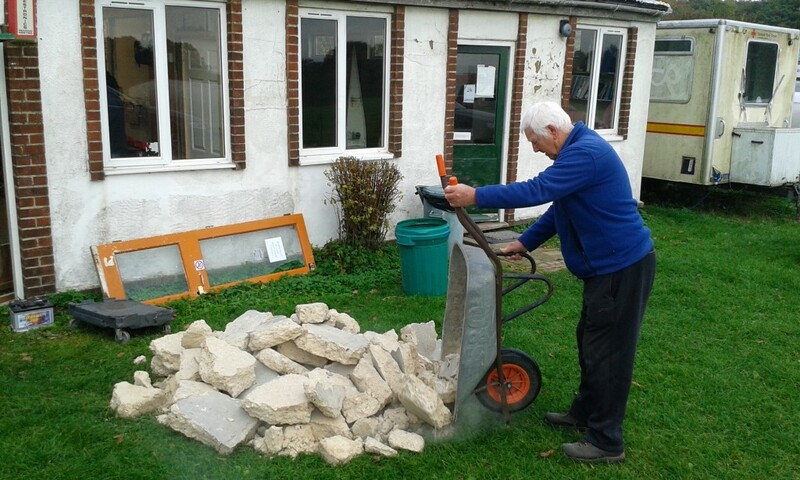 With flying delayed we set to breaking up the part of the workshop floor that had sunk – breaking up concrete kept us occupied until some breaks in the cloud appeared. We did get to fly but after Stan O had to abandon his launch (3rd one of the day) at 450′ we waited and waited and then knocked it on the head. Needless to say once I was home the sky looked clear. Flies an LS3-17 (occasionally when not sitting in the back seat). Promoter of gigs at ACE Space and presenter of Folk Ace on Kennet Radio. How was it ever possible to fit in paid employment?